The first thing you should do is declutter your home. You’d be surprise at how much junk we can gather throughout the years, which makes it harder to clean and get organized. Take a day, or a few hours, and go through your things to declutter. 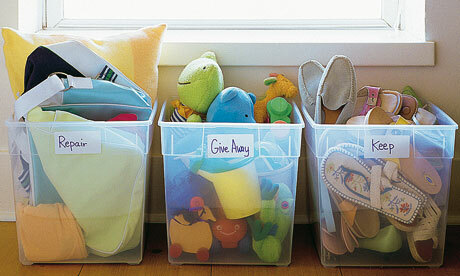 Make different piles to keep, to throw away, and to donate. If you haven’t used an item for a few years, get rid of it; you don’t need it. Hi, nice tips, but allow me to tip one thing, instead of wrapping the bed linens put them inside the pillowcase, less volume same organization! I agree! I have done that for yearswith my linenes! I didnt find any aha ideas in this 11 great tips, not so great I say!